Sporting a unique look that certainly marks it out from other vehicles in its class, the Skoda Roomster manages to show that being practical doesn't have to mean being dull. This spacious mini-MPV boast a large cabin and boot thanks to its unusual exterior dimensions, and is a real pleasure to drive. Why not come and discover the range of used Skoda Roomster models for sale in Newhaven for yourself by paying a visit to our showroom. 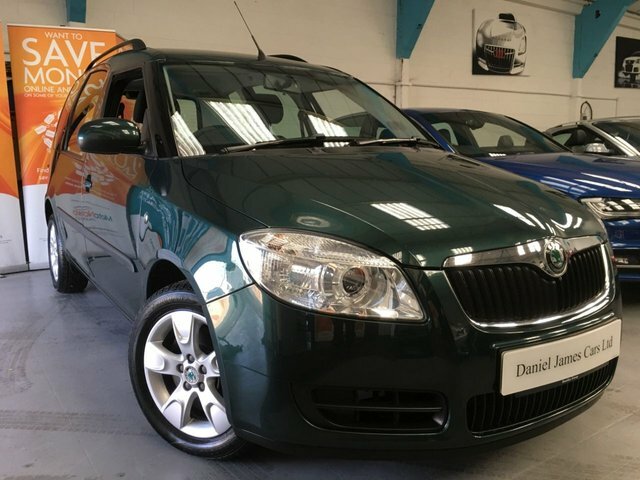 At Daniel James Cars Limited every vehicle on our forecourt has been tested by a trained technician, allowing you to buy with complete confidence. Speak to a member of the friendly showroom team for more information.